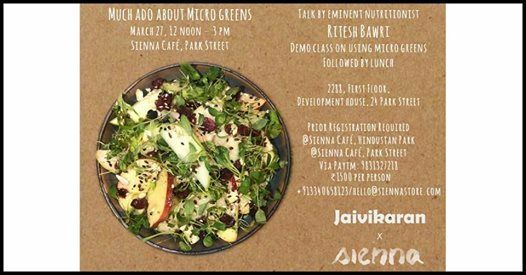 An urban farmer, a nutritionist and a healthy cafe join hands for "Much Ado About Microgreens". We have leading nutritionist, Ritesh Bawri, who will shed light on simple principles that help us achieve good health. 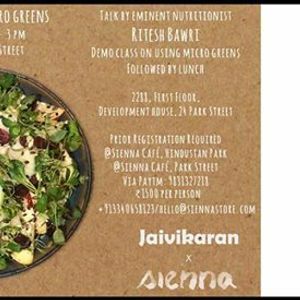 Jaivikaran will share the benefits of microgreens and it's significance in our daily diet.Sienna Cafe will demonstrate easy and healthy recipes using microgreens. This is an interactive session and will be accompanied with a wholesome lunch. 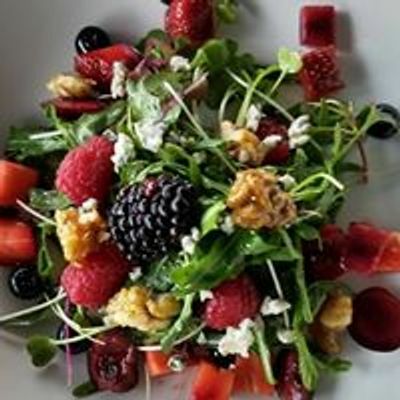 Sign up for your date with good health.